Jaap Jonkman’s passion is to help individuals, teams, and organizations see things they did not see before so they feel liberated, can make different choices and get even better results. He focuses both on what people ‘do’ together, and how they ‘be’ together, believing that impact comes from both. Jaap has found that a focus on leadership transformation, in the expectation that business transformation will follow is often too long a process and much gets lost in the transition. In working with teams and organizations Jaap, therefore, focuses on simultaneously accelerating the strategy, shifting the culture and building leadership capability. Jaap’s areas of expertise and particular interest are vertical development and successfully leading through complexity. As the world is getting increasingly integrated, the issues to be solved become increasingly complex, requiring leaders to embrace ambiguity, become more curious, and move from being achievers to being collaborators. 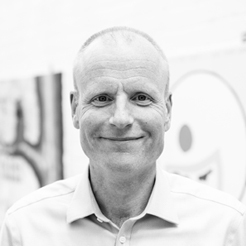 Jaap works at the organizational level helping organizations implement strategy and effect culture change, at the team level helping teams to become high performing, and as an executive coach helping individuals become the leader they want to be. Jaap has been learning and practicing leadership for over 30 years, from coaching hockey teams as a teenager to running an eight hundred people, five hundred million cash earnings business, to consulting at all levels in the commercial, civil and government areas of society. Before joining the Conversant Community, Jaap was a member of the executive team at Save the Children Australia. Prior to that Jaap was a senior executive at NAB for over a decade, running large teams in business banking, transformation programs, human capital, and international strategy. After completing his military service as a platoon commander in the cavalry, Jaap spent ten years in the investment and wholesale bank at ABN AMRO in several disciplines and countries. Most of Jaap’s time in banking was spent on the customer side, allowing Jaap to work with hundreds of companies, big and small, across the globe. Jaap has been active in the community sector all his life and has worked part-time most of the past decade to make time for his many pro-bono activities. Over time these activities have migrated towards helping NFPs build their leadership capabilities, and coaching their executives. Jaap has lived in eleven different countries, in North America, Europe, Asia, the Middle East, and Australia. He has an M.Sc in Economics, is an alumnus of the Williamson Community Leadership Program, is a certified (level 3) executive coach, and accredited in Hogan Assessments.